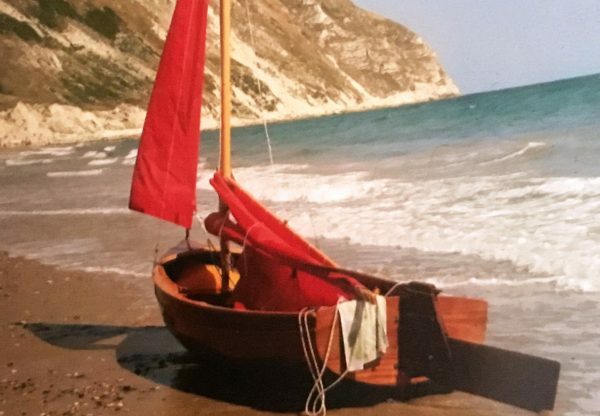 The Mallard dinghy was designed by Andrew Wolstenholme and this one was built in 2012. 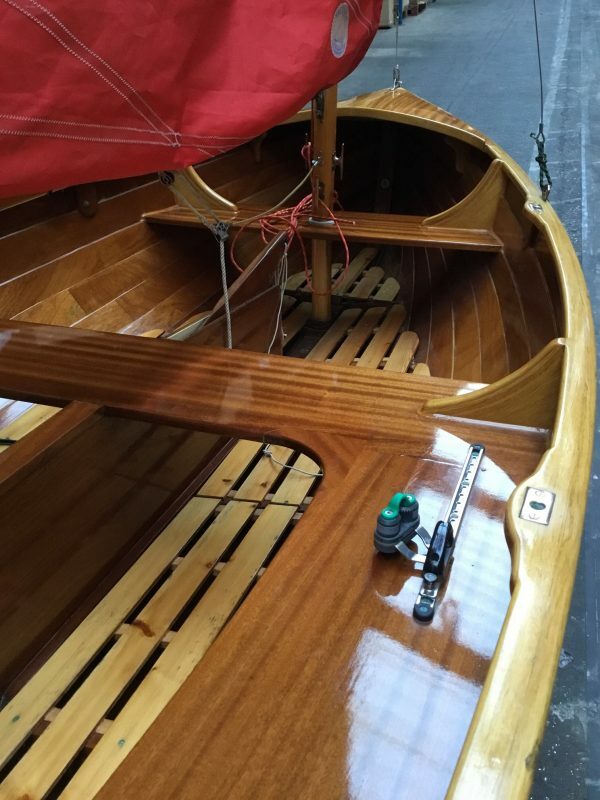 She was started at the Lyme Regis boat building school but purchased before completion by the current owner who then engaged a professional to complete the build. 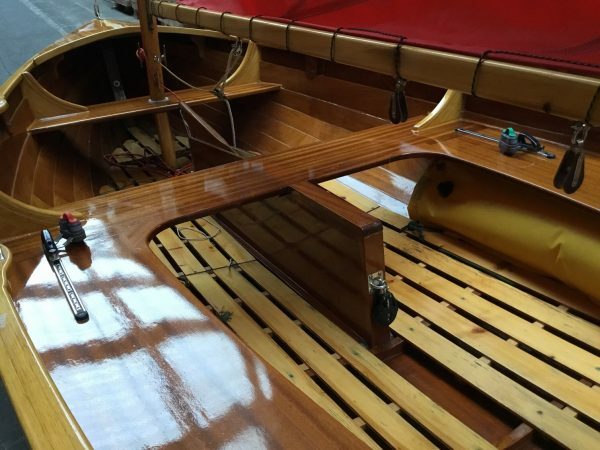 She appears to have been finished to a high standard with good boat building techniques employed and good quality materials from the Robbins Elite marine plywood to the cast bronze fittings. 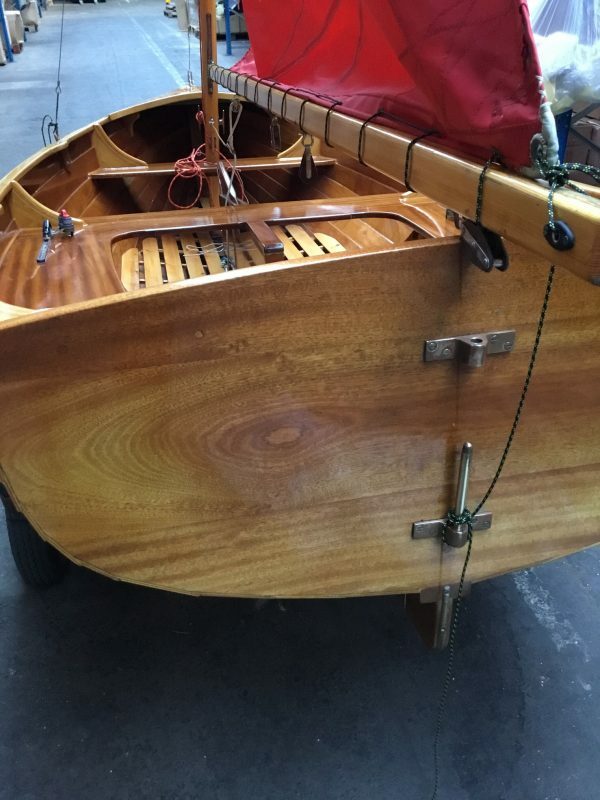 Hardly used and in immaculate condition, she is on a trailer and ready to tow away this spring. 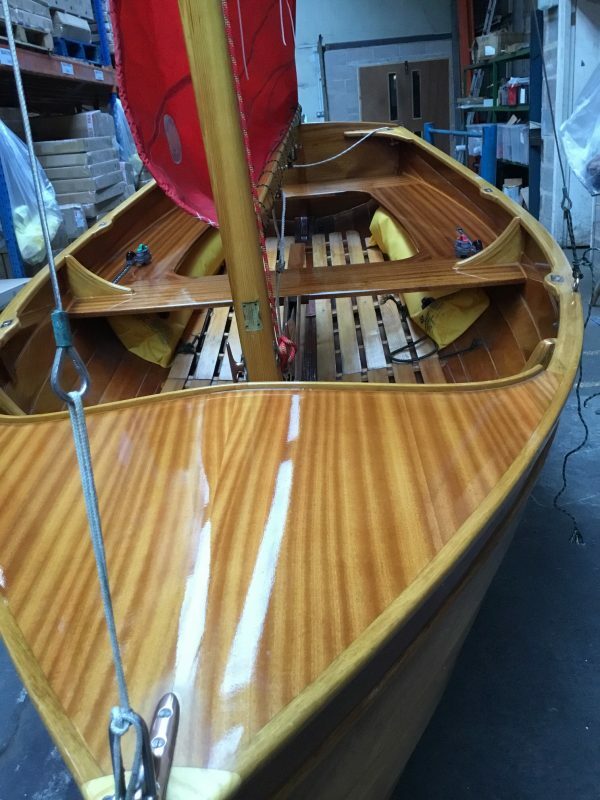 Clinker planked in Robbins Elite marine plywood, epoxy glued. 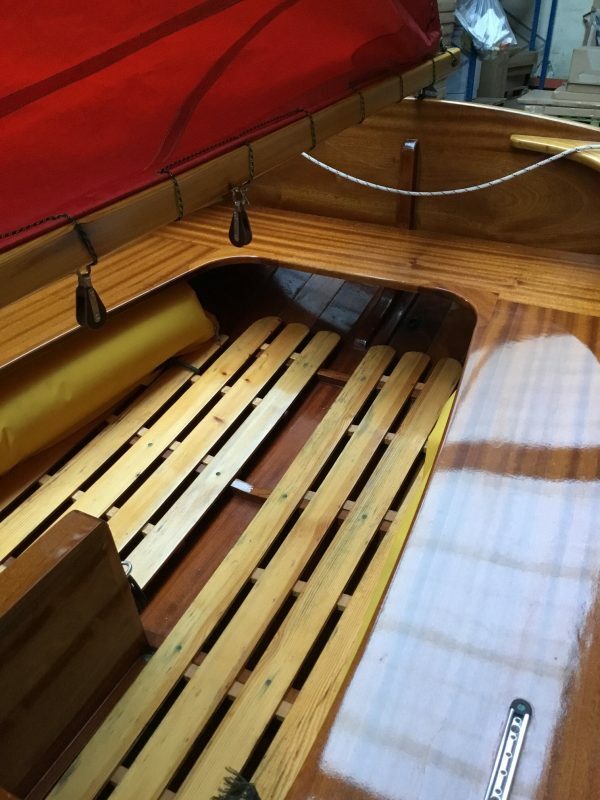 Finished to a high standard with nicely shaped hood ends around the transom. 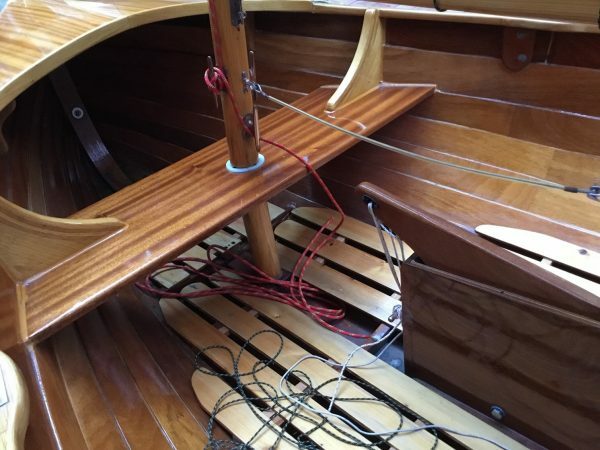 Solid varnished mahogany transom with bronze rudder hangings. 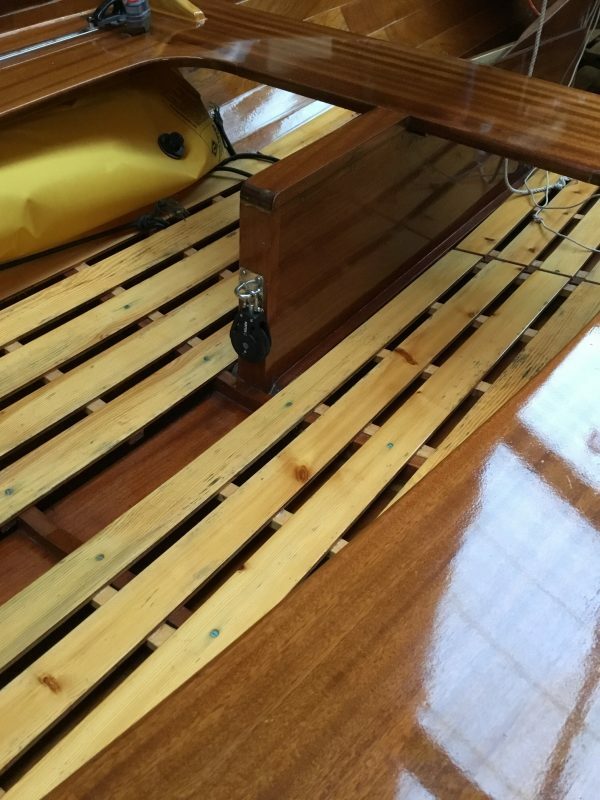 Varnished mahogany sheer strake plank with varnished oak rubbing strake and capping rail on the gunnel. Varnished mahogany thwarts with oak lodging knees, made from a sawn triangle of timber with curved laminations over the top to create a strong and attractive supporting knee. 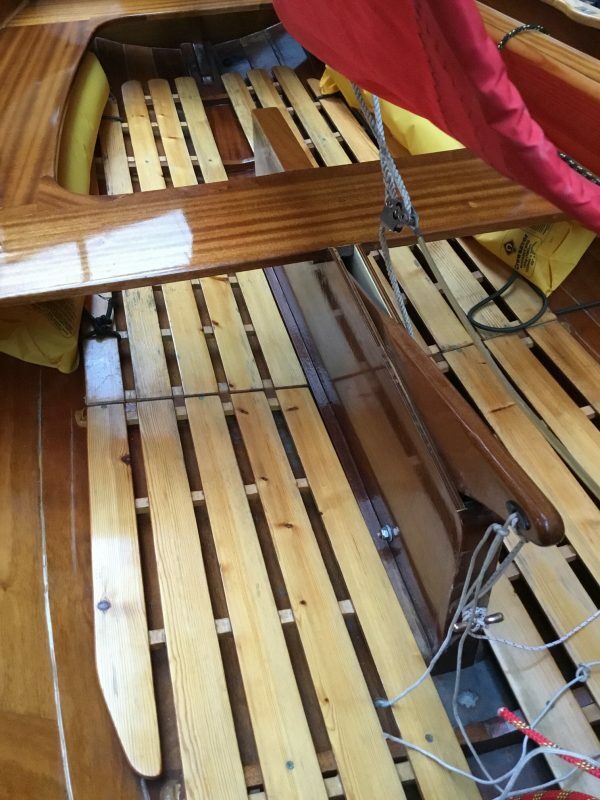 Curved mahogany varnished foredeck with an oak coaming on the aft face. Varnished plywood centreplate box with a solid mahogany centreplate. 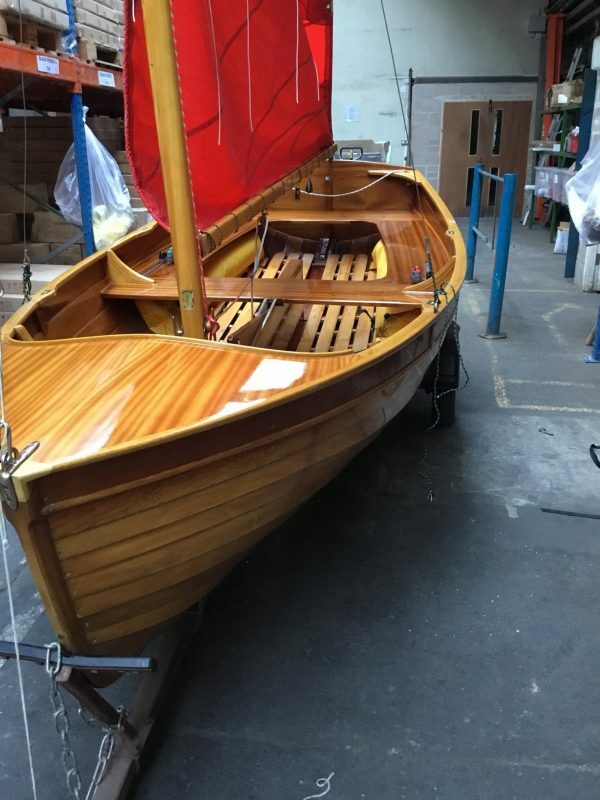 Gunter rig on a keel stepped varnished pine mast with varnished pine boom and gunter yard. Red terylene mainsail and jib by RJ Sails. 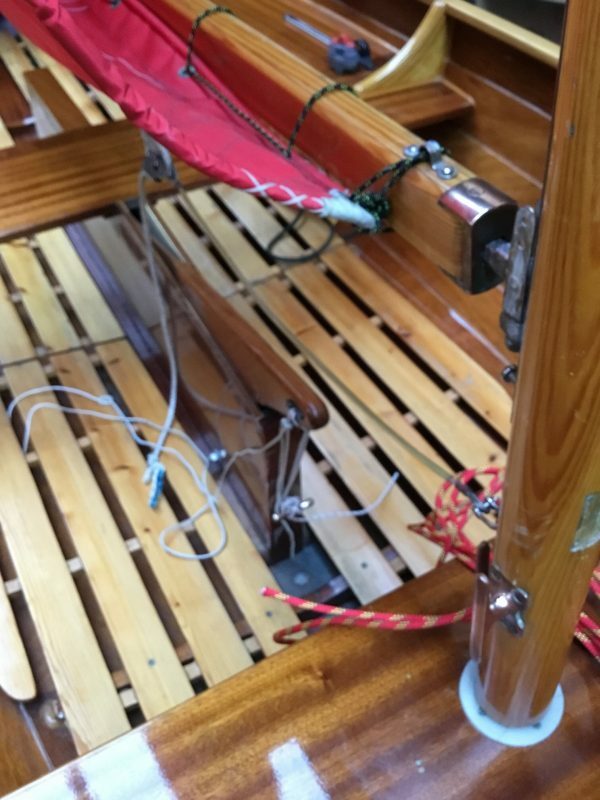 Mainsail sheets to a block on the aft end of the centreboard case. Jib sheets to jammers with tracks on the side thwarts.